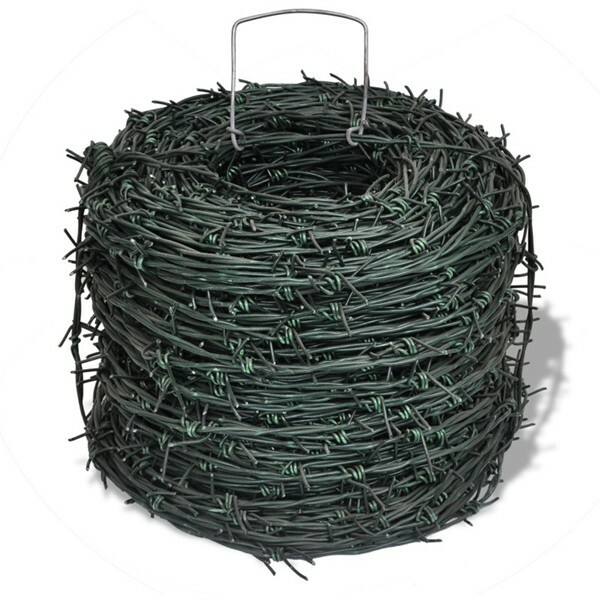 ﻿ Barbed Wire - Wire Mesh Fence - Anping County Zhuoda Hardware Mesh Co., Ltd.
Barbed wire, also known as barb wire, less often bob wire or, in the southeastern United States, bobbed wire,is a type of steel fencing wire constructed with sharp edges or points arranged at intervals along the strand(s). It is used to construct inexpensive fences and is used atop walls surrounding secured property. It is also a major feature of the fortifications in trench warfare (as a wire obstacle). Wire materials: galvanized steel wire, PVC coated steel wire in blue, green, yellow and other colors. Barbs Spacing 3" Barbs Spacing 4" Barbs Spacing 5" Barbs Spacing 6"